Trying to access your MS Access Database but each time when you tries to do the application throws following error “Cannot Open Database It may not be a database that your application recognizes, or the file may be corrupt. “ ? 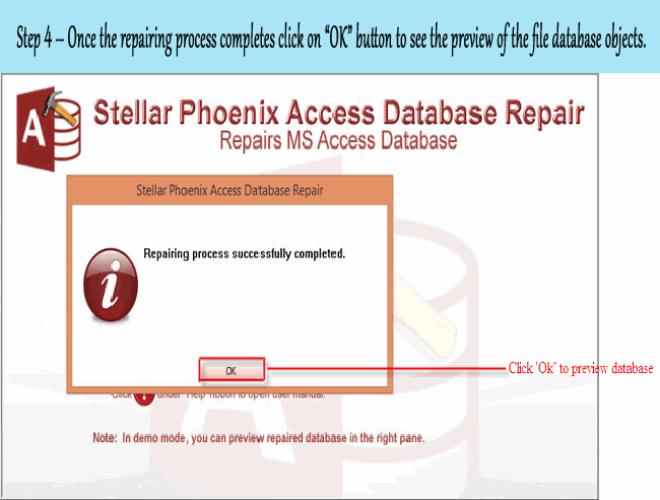 Well if you are rendering such an issue with your Access Database then just follow down the following fixes mentioned in this blog. Error encountering in Access database is too common these days but do you know you can these kind of errors on your own. Access database error 3049 generally occurs when you are trying to open .mdb file or when you are trying to add new data in your database. What’s This Access Error 3049 Is? While using the ms access you may get suggestions from access itself to compact access database. Due to some unusual or unwanted reason when access interrupts the compaction procedure then you will find yourself unable to access data from MDB or ACCDB files. 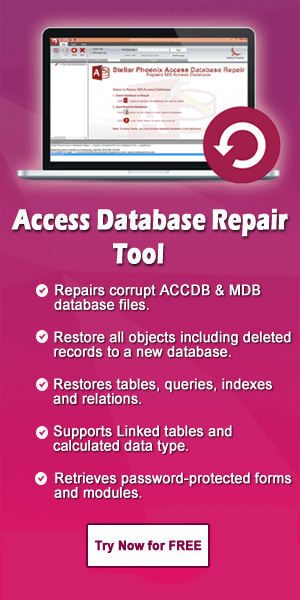 In such cases, you have left with only one solution i.e to repair damaged access database via professional solution. In real time access database compress failure, so you will get an error. What Happens After Error In Access Files? The error itself reflects that the access database compress operations are stopped due to some unknown reasons and you are left with inaccessible databases. The reason can be virus attack, improper Access usage, hardware issues, or other. Let’s deeply discuss..! What are the other possible reasons behind this MS Access database error 3049? If you will read the error you will find two main causes behind this run time – 3049 error. You are trying to open another database like dBASE, SQL database that is not linked to the existing Microsoft Jet database. This error occurs when you mdb file is corrupted. One more reason that makes this error happens is the file size limit is 2 GB and if you try to add data which get exceeds with 2 GB limit. Note: Before making any changes make sure that you have made the copy of the corrupted mdb file while Access isn’t running without overwriting the earlier backups. How To Fix Access Runtime Error 3049 Manually? 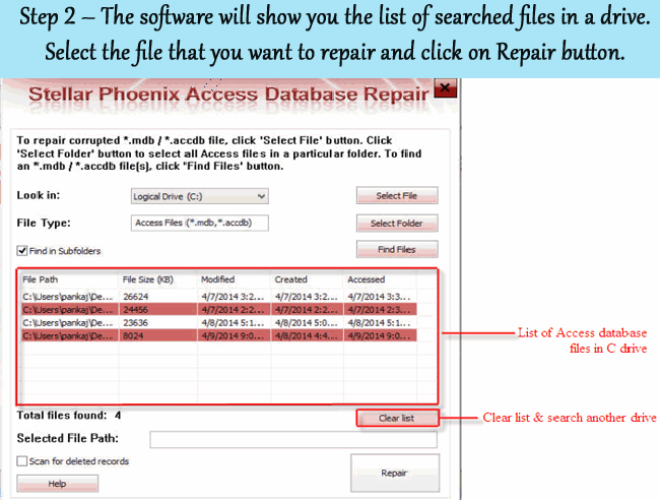 Try to use the built-in compact & repair utility: Tools | Database Utilities | Compact/Repair. This works in every case it even help in reducing the file size slightly and works well with corrupted database and user might get rid of corrupted database. Once the compact and repair processes are completed you won’t receive this error message. 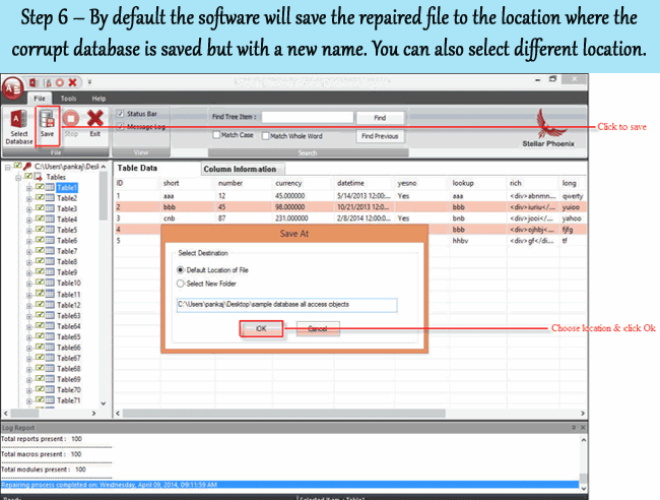 But if the database cannot be repaired via the compact & repair utility then just restore the access database from backup copy or simply create new database. 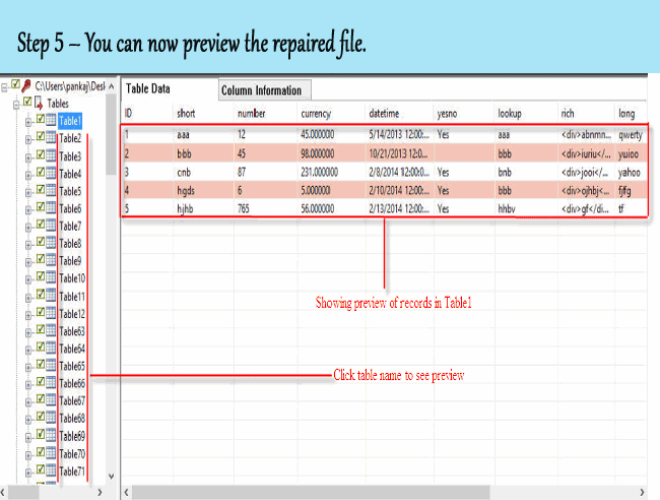 Compact & Repair utility helps the user to get back the healthy database. You should run compact & repair utility on regular basis to prevent your database from such error. It’s an inbuilt window utility tool to scan and resolve any corruption issue occurred in the system file. Here are the steps to run System File Checker Utility, so just follow it as it is mentioned. Goto start menu and tap to the mouse right button. From the menu item make selection for the Command Prompt (Admin). This will open the CMD panel. In the panel type sfc/scannow and press the Enter key. After this you will see scanning of complete system file alongwith the MS Access error 3049 causing files, gets started. After scanning you will only need to follow the instructions. Sometime system restore can also fix this kind of Access Macro error 3049. So, just give it a try. Follow the steps mentioned here to run Windows System Restore. Login to System in Admin Mode. This will open the prompt box in new window. From which you have to select “Restore my computer to an earlier time” and then hit the Next option. After completion of the restoring process, give a restart to your system. 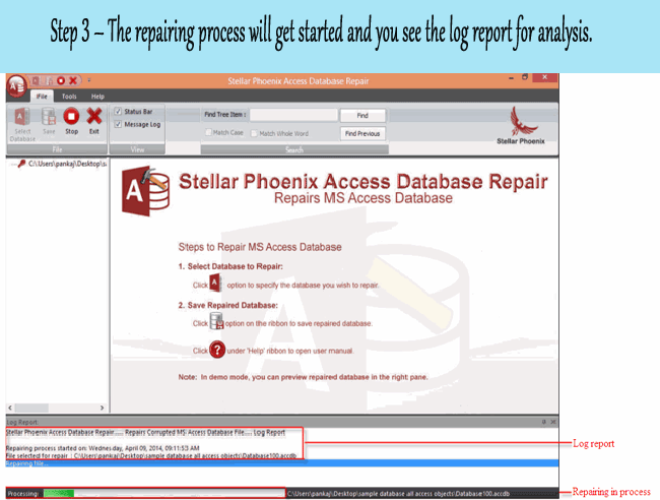 To overcome the issue of “Cannot Open Access Database” Error, export the MDB file to the ACCDB format, making use of the manual procedure discussed in this segment. Actually this procedure will help you in viewing the incorporate content. 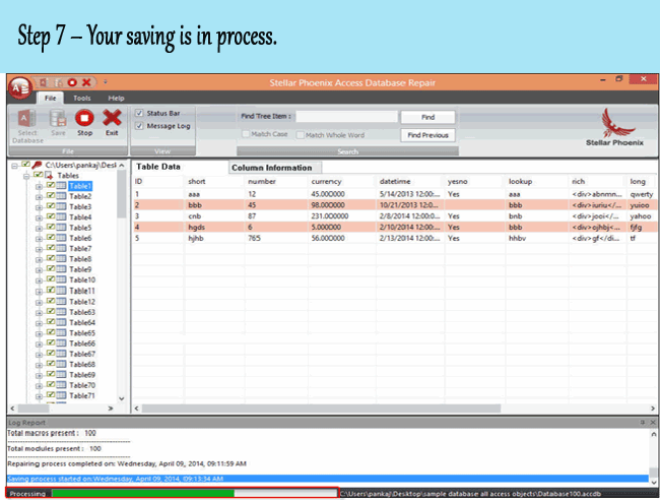 To start the process, it’s important to close all programs and file related to MS Access. These steps are applicable for Access 2007 and its above versions. So let’s get started with the steps to convert MDB to ACCDB. Start your Access Application on your PC. Now from the opened dialog box, choose the Access MDB file which you need to export to accdb file format. From the Database File Types hit to the Access Database (*.accdb) . After clicking to the Save As option, the application asks you to close all MS access objects if any of them is already opened. To close the objects, tap to Yes or alternatively click on NO to cancel the whole conversion process. If you have done any changes then access will ask you for saving the changes. In the file name field, assign name to the exported file and tap to the Save. After completing all these steps, you will see a copy of the database is gets created. Moreover, the original database will automatically get closed. No need to worry if the above steps fail to fix the issue you got another way to fix the issue. 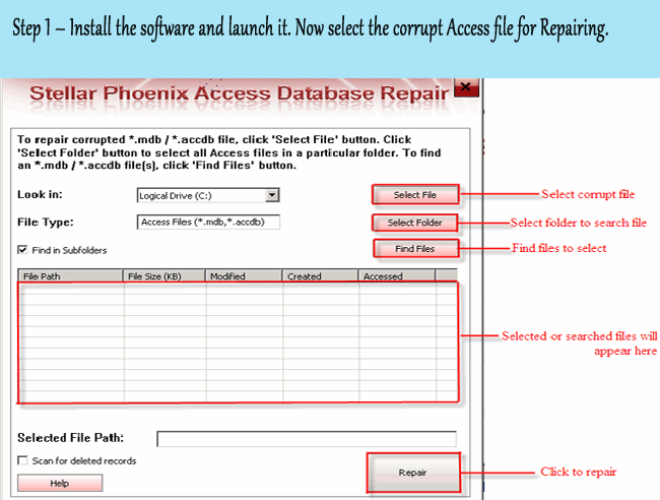 Access Repair & Recovery tool is the professional tool that can easily fix the issue and let you recovers your data from any sort of corruption or damaged issue. 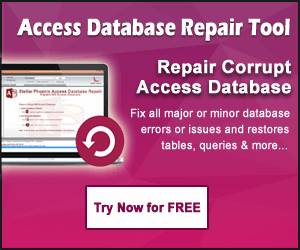 It can easily restore the corrupt tables, indexes, queries and relations. Password protected forms or modules can also be retrieved. As you all know access database application is one of the widely used applications for many business organizations. Thus even a single issue can make great trouble. Like such commonly encountered issue one of the very common error is “Cannot Open Access Database File” Error. So, after knowing the reason behind the error, you must need to try the manual fixes mentioned in this post. If it won’t work, then approach for the software solution. 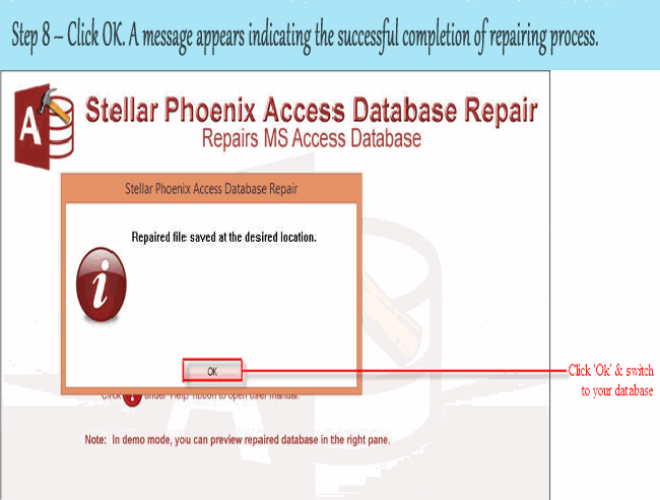 ← How To Resolve Access 2003/2007/2010/2013/2016 Database Won’t Save Changes Issue?